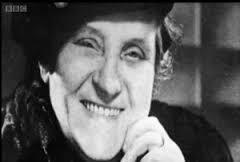 Believe it or not the creator of the Barras was actually a woman called Maggie McIver. Known as the Barra Queen she prospered at a time when very few women could. Maggie McIver was a remarkable woman, she not only founded the Barras market, she also built the Barrowland Ballroom in Glasgow. She was known locally as the Barras Queen. Maggies is a classic rag to riches story. She was born in 1880 the daughter of a Policeman and by the age of 48 she had opened the Barras indoor market, showing her to be a canny business woman at time when very few women ran their own businesses. Many of her stalls were rented out to women. 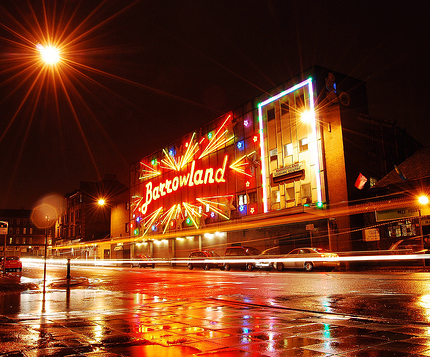 She was a considerate woman who built the Barrowland ballroom so that her Hawkers (stall holders) could hold their Christmas dance. As a widow by age of 49, with 9 children and a business to run life would not have been easy, at a time where there was no child care and women would have relied on each other. In my view Maggie must have been a strong and determined woman to not only survive but to thrive in a male dominated environment. If you would like to find out more about Maggie McIver please download our East End Walk audio tour. Maggie will also be featured in the March of Women pageant in March 2015. To find out more click here. 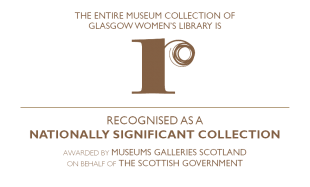 This entry was posted in Blog, From the Archives, Placements and Volunteers Blog, Walks and tagged with barras market, barrowlands, Bridgeton, calton, East End, Glasgow, Glasgow Women's Library, maggie mciver, mciver gate.